A report from the Fort Worth City Manager to council members on Tuesday will document “weaknesses” in the city’s official response to a round of severe weather from earlier this spring. 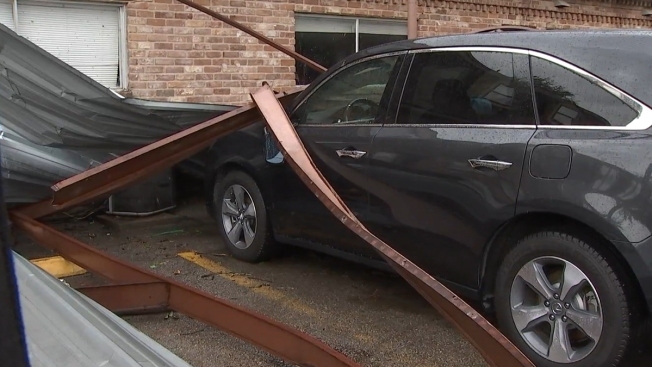 On March 29, a strong series of storms pushed through North Texas overnight and produced three tornadoes: an EF-0 (Winds 65-85 mph) in Lewisville, an EF-0 in north Fort Worth and an EF-1 (Winds 73-110 mph) along the Keller/Watauga line. Damage reports from the Fort Worth storm were initially slow to come in, according to Keith Wells, Director of the Fort Worth Office of Emergency Management (OEM). Wells said that the timing of the storm – about 3 a.m. – and the relatively low severity of the storm played a big role in delaying activation of the city’s Emergency Operations Center (EOC). By the time the sun began to rise, city crews had determined the storm, “was bigger than they originally realized,” Wells said Monday. Since the March 29 storm, procedural changes have already been made regarding how information is shared in the wake of severe weather, according to Wells. For instance, any reports of storm damage made to the City of Fort Worth are now automatically forwarded to representatives of the OEM, Wells said. That way, a determination of the level of emergency response can be made more swiftly.